Sealants have been heralded as the solution to lazy brushing habits. Sealants are painless, great at preventing cavities, and cost effective. They are also great for adults. However, there has been some controversy recently over the use of sealants. In this article, Dr. La addresses some commonly asked questions about sealants as well as information in regards to their safety. Teeth have varying levels of small pits, fissures, grooves and crevices. You can feel some of these with your tongue. Food particles can get trapped in these areas and it is near impossible to brush or floss it out. Bacteria and plaque can build up in these areas and cavities form. A sealant is a clear coating that is applied that seeps into these cracks and crevices to protect the teeth. It is usually applied to the chewing surfaces of the molars where tooth decay most often occurs. Even a great brusher can’t reach all of the areas needed to clean out plaque so sealants can help provide extra protection than brushing and flossing alone. Long lasting protection across the biting surfaces. Great layer of extra protection while children are learning how to brush. Inexpensive. Sometimes covered by insurance. Proven to reduce decay, plaque and cavities. Sealants are quick to apply and painless. The teeth are first cleaned thoroughly. Then the sealant is applied with a brush and flows into the pits and grooves of the teeth. This prevents food and plaque from getting in. It also acts as a barrier to acid and decay. The sealant is a resin that bonds to the tooth. In some cases a special light may be used to cure, or harden, the resin. This process is called polymerization. Sealants are completed in one office visit (unless they are applied as each tooth erupts the gum line). Tooth decay can begin immediately, thus it is important for children to get sealants once their permanent teeth have erupted. Sealants are typically placed on permanent back molars which typically come in between the ages of 6 and 12. Around 12 a second set of molars comes in which should also receive sealants. Sealants can be placed on baby teeth but this is not typical. There may be specific reasons for children with baby teeth to receive sealants, please consult with Dr. La for more information. For adults, it is never too late to receive sealants. Dental sealants can last up to 10 years. However, regular check-ups at the dentist are necessary to check if the dental sealants have chipped or have worn away. Over time sealants can become loose or worn and not protect as good. Teeth grinding, chewing hard candies or ice, or poor hygiene habits can shorten the life of sealants. However, worn or damaged sealants can be removed and replaced. What’s the Difference Between a Sealant and a Filling? Sealants are a preventive measure to help avoid cavities, plaque and tooth decay. Fillings are restorative dentistry, where the tooth is already damaged by decay and a cavity has formed. So sealants are a proactive attempt at prevention whereas fillings are a treatment for a condition. Prevention is always better than treatment! What do Dental Sealants Cost? Sealants are valuable to a child’s health. 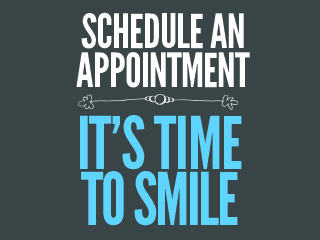 Prevention is less expensive and less painful than treating a cavity! Sealants represent an investment in you or your child’s teeth to avoid costly future procedures like fillings, caps, or crowns. Some insurance companies cover the cost of sealants for children, so be sure to check with your dental insurance carrier to see if sealants are covered in your plan or call our office to help check ahead of time. 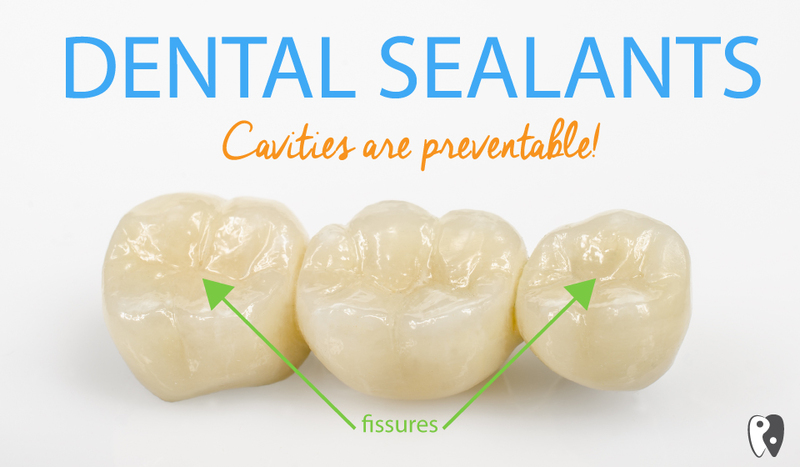 Adults can benefit from sealants as well. Many adults did not have the option of sealants available when they were children. It is never too late to get sealants. Sealants are especially recommended for adults whose teeth are especially prone to decay. There are many conflicting reports about the safety of sealants. Some older sealants contain BPA (bisphenol A). Others contain derivatives of BPA (Bis-GMA or Bis-DMA). BPA is a chemical found in plastic bottles and is known to emulate estrogen. This can disrupt the body’s natural endocrine system and has been shown to pose a health risk. A report was published that showed that when BPA derivatives are exposed to saliva over time, a chemical reaction can occur that causes BPA to be produced. Also, within the first few hours of applying sealants a perceptible level of BPA is present. Washing the tooth immediately following application greatly reduces the possible exposure. Also, Bis-GMA shows a lesser chance of converting to BPA than Bis-DMA. So the selection of sealant material used is important. Overall studies found that the exposure to BPA at application time is brief and is miniscule long term. The role in preventing cavities is undeniable however and the usage of sealants is still encouraged. The great news is the dental industry is very good at policing itself. Most manufactures of the resins used have switched to Bis-GMA and have reduced the amount of Bis-GMA over 50%. Some manufacturers have completely eliminated using BPA or its derivatives. Dr. La only uses the finest materials in his dental work and continually educates himself on the latest techniques and products. Dr. La recommends all parents check in regularly with the American Dental Association and other trusted dental information sites for the latest information on this and other controversial dental issues. The benefits of sealants far outweigh the negatives, especially when safe materials are used. Prevention is always better than treatment. Prevention is always better than cure and that’s very, very true of caring for your teeth. It takes far less time and far less money to actually care for your teeth properly in the first place than to try and repair or replace them later on when your dental situation has gotten out of control. Even if you do have comprehensive dental cover it still makes more sense to never have to use it for getting intensive dental surgery done – it’s the equivalent of taking out car insurance when you have every intention of running your car into the first wall you can find. You were taught as a child to brush your teeth every morning and last thing at night to keep your teeth as clean as possible. This is despite the fact that you were going to lose your baby teeth anyway and have them replaced by your adult teeth. But what your parents were trying to create is the habit of good dental hygiene that would follow you on into your adult life and you could then pass these same good habits onto your own children. But practicing actual preventive tooth care is about more than just brushing your teeth each day. You also need to practice regular flossing to remove particles of food and plaque from between your teeth because you can have the pearliest white teeth facing people while you have a sea of decay between your teeth. And it’s also important to use mouthwash at least once per day to wash away the bacteria that your brushing and flossing can’t take care of. If you want to work a little harder at your dental hygiene then you could also consider using interdental brushes which you can buy at your local drug store. These literally allow you to brush between the gaps in your teeth – where you normally floss. Just following a simple routine of brushing, flossing and rinsing with mouthwash every single day is enough to prevent the spread or even the appearance of problems like gum disease, bad breath (halitosis) and of course tooth decay too. And because you’re actively working to prevent these problems you’ll be able to enjoy having a full set of teeth far longer than the average Joe on the street. Proper preventive dental hygiene will also include a trip to your dentist at least once per year to have your teeth professionally cleaned and to check for any dental problems that might still be in the early stages and quite easily treatable. It’s only when you have your teeth professionally cleaned that you realize just how much gunk had built up in there and now clean and fresh your breath is afterwards. Bleeding, swollen or red gums are often a sign of need a periodontist quickly! However, they can also be signs of teeth that are too widely spaced or crowded. So is it periodontal disease or teeth alignment? Properly aligned teeth makes the gums fit more securely around the teeth. So well aligned teeth are the strongest and most healthy defense against potential future periodontal problems. That is one great benefit of Invisalign. Invisalign helps align your teeth and create secure gum and teeth fittings – which means less potential for future periodontal problems. Invisalign is also removable which allows for easier cleaning and maintenance. Brushing with traditional braces can be difficult – especially flossing. By removing the retainer you can easily brush and floss as normal. This too provides for healthier teeth and gums. Help get a better smile and reduce periodontal disease – consider Invisalign!